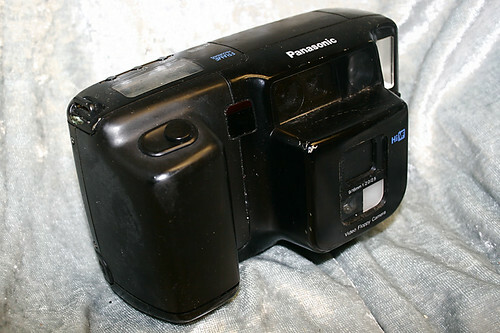 Panasonic introduced the AG-ES10 in about 1988, as one of the first wave of "filmless, electronic" cameras. But like other still-video cameras of the era, this was not a digital camera; it recorded analog TV scan lines onto special 2" Video Floppy disks. A floppy could store 25 images in "frame" mode and 50 in "field" mode (where every other video scan line was skipped). The AG-ES10 is quite similar to the Canon RC-470, although with different styling and top panel controls. 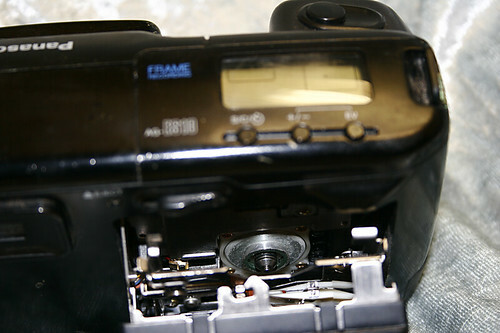 The AG-ES10 used a 1/2"-format CCD sensor of about 360,000 pixels. There was a switchable dual-focal-length lens, giving a 35mm equivalent coverage of 48 or 86 mm. The list price in 1991 was stated to be USD $1,650, which translated into 2012 dollars would equal about $2,750. Similar to Sony who would later release the digital versions of Mavica cameras that uses High Density floppy disc, Panasonic also released a digital version called PV-SD4090, that uses SuperDisc, which was also compatible with HD floppy disc. ↑ "17 Top Electronic Cameras," December 1991 Popular Photography (Vol. 98, No. 12; page 109). ↑ Inflation adjustment from US Dept. of Labor, Bureau of Labor statistics CPI Inflation Calculator. This page was last edited on 16 June 2018, at 20:37.